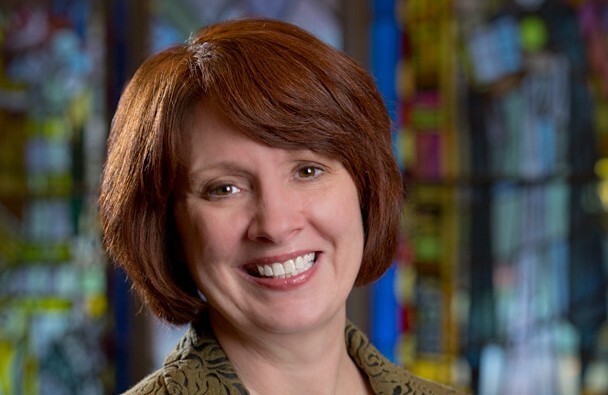 Mary Finger was inaugurated as the tenth president of Seton Hill University (SHU). A ceremony was held on May 1 at the SHU Performing Arts Center to officially install Finger into the position after serving the office for nearly one year. The event followed a week of campus celebration such as lunch on Sullivan lawn and a celebration Mass. Finger comes to SHU from DePaul University where she served as the Senior Vice President for Advancement. “I am familiar with a catholic institutional setting,” Finger said. She has served three other catholic institutions in various positions throughout her career in higher education. Finger earned her doctoral degree (Ed.D.) in higher education management from the University of Pennsylvania. She earned a Master of Arts degree from Mount Mary College and a Bachelor of Arts degree from Marquette University. “Seton Hill is a special place, it has been continually reinventing itself in a very thoughtful and strategic way,” Finger said. She doesn’t see many other institutions following the same path, but believes that for SHU, it is built into our institutional history from the days of Elizabeth Ann Seton. The president of the university is deeply connected to all of the constituencies, students, staff and faculty, families, alumni, and even prospective students. Finger sees the position as not only advocating to all of those parties but also making SHU the best possible institution it can be for them. “I see myself constantly asking, ‘Are we doing the absolute best we can be for today’s students and tomorrow’s students,’” Finger said. A primary task for Finger as incoming president is working with SHU to develop the new master plan. Including students in the conversation about the master plan wasn’t even a question for Finger. “Students feel very positive about their experience here and even when we get negative feedback, it’s constructive, you can see they care about their school,” Finger said. “I see us looking into programs that didn’t exist five years ago,” Finger said. She wants the university to focus on student experience and student success. “We can always find ways to be doing better.” Finger is excited for the master plan to reveal the areas to which the administration needs to focus its attention. And she believes that giving those areas the attention they deserve could position SHU as the, “best liberal arts schools in southwest Pennsylvania. Finger knows that her position extends beyond just students of course. “We include parents, prospective students and alumni in the conversation as well,” Finger said. During her first year with SHU, Finger spent part of her time at alumni events in Massachusetts, Florida, California, Illinois, New York and other locations across the country. These events drew crowds of up to forty in some locations and all provided Finger with valuable insight from former students and parents of SHU students. They even inspired her to plan forming a parent group within the institution to continue gaining feedback. 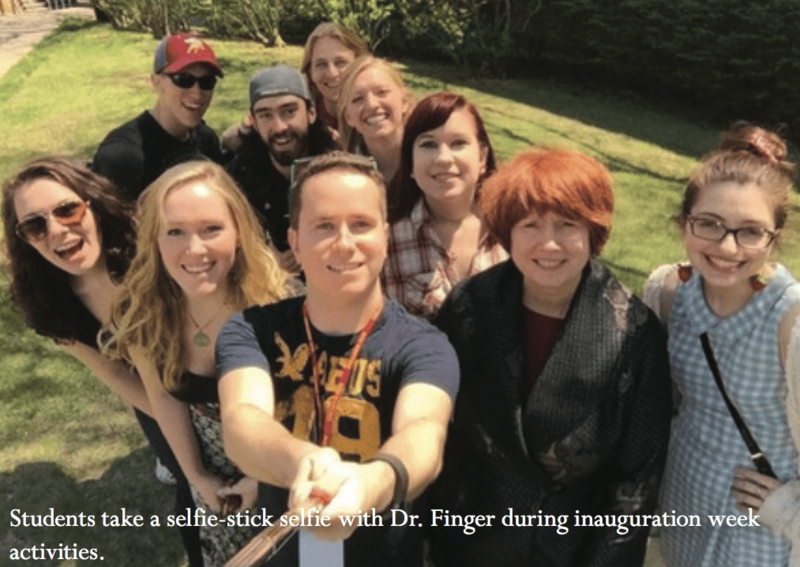 “My passion is talking with students,” Finger said, “They carry a certain energy that shows they’re passionate about what they’re doing.” The administration and Finger see the same passion in current students as they do in alumni. They’ve heard stories from forty years ago that mimic what they hear from students today. The future of SHU will be largely driven by the new master plan. The plan will include development outlook for the building at 131 Seton Hill Drive as well as the donated space in the First Commonwealth Bank building on South Main Street in downtown Greensburg. Finger believes there is a very strong relationship between the city of Greensburg and SHU. SHU is the fifth largest employer in Greensburg. May 19, 2015 in Featured, May 2015 Magazine, News.